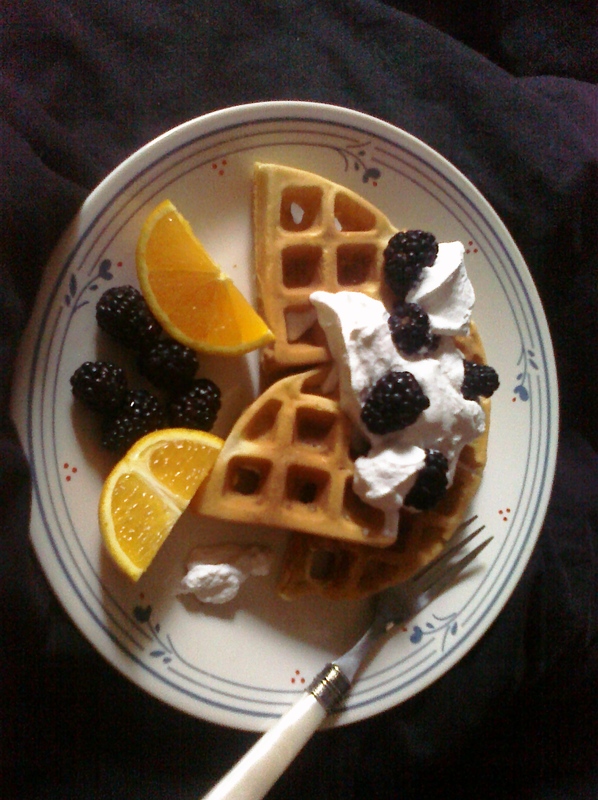 I made the GF some belgian waffles with fresh whipped cream and blackberries for her birthday breakfast. I just used Alton Brown’s recipe and made a few additions/subtractions to get it tasting right. Alton is a great resource for simple recipes. They were great, coupled with fresh coffee made with my new single cup coffee maker. This entry was posted on 28 April, 2010 at 10:11 am and is filed under Uncategorized. You can follow any responses to this entry through the RSS 2.0 feed. You can leave a response, or trackback from your own site. mmm and they were sooo amazing! Esp the homemade whipped cream! Thanks baby!